Why is it important to have a Employee Capability Letter Template? There are all sorts of reasons why an employee can flag in their job; personal reasons to lack of training or they are genuinely struggling to fulfil their duties. Whatever the reason at some point, an employer will need to start the capability process, whether it be informally or formally. HR Heroes Employee Capability Letter Template (Termination) is simple to use and has all the details you need to terminate an employee though the Capability Process and ensure you’re doing it in line with legislation. Assessing your Employees Capability to do their job is one of the hardest things to get right! What if your employee simply isn’t capable of doing the job you’re paying them to do? What if their role is changing and you want to understand whether they have the right skills and capabilities to do the new job? An employee’s capability to complete their job can be hard to deal with if you don’t have the right process, policy and templates in place to help you. When an employee is under performing and not meeting their objectives it place’s a huge amount of stress and cost on a small business, as the employees are such vital cogs in the wheel. 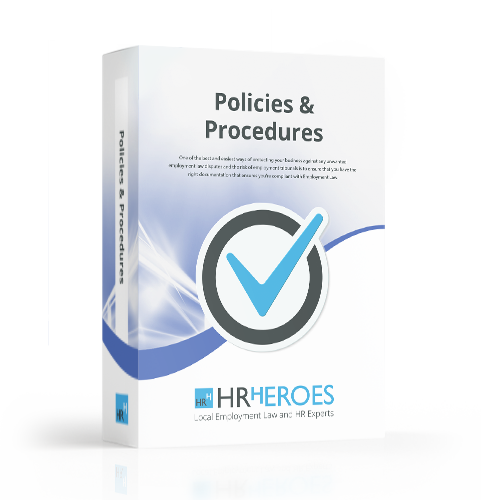 The ultimate aim with the capability process is to get your under performing employee performing again, but if you are faced with the situation where you have to dismiss a staff member, then this package will guide you through what you need to do and say.